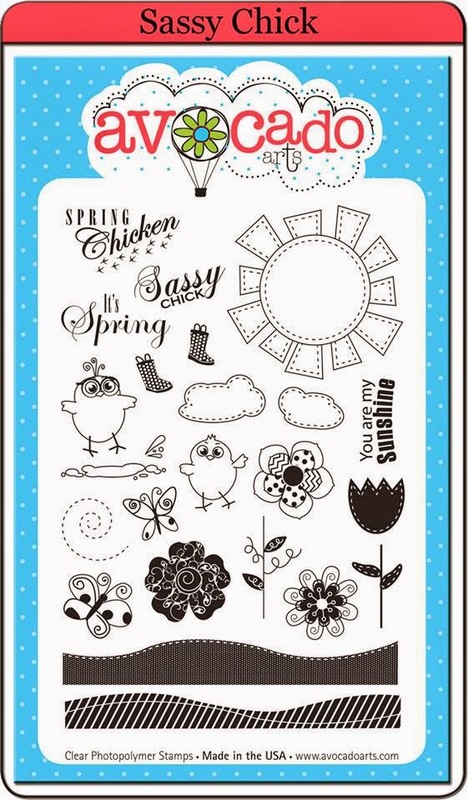 crafty goodies: Avocado Arts~Sassy Chicks, March release. Avocado Arts~Sassy Chicks, March release. The eggs are plastic, covered in dictionary pages. The images and sentiments, from the Sassy Chicks set, are stamped on watercolor paper and cut out. The ink is by Ranger/Wendy Vecchi. oooo I totally love love love it. Those stamps are neat. This is so pretty! Love the dictionary covered eggs!! 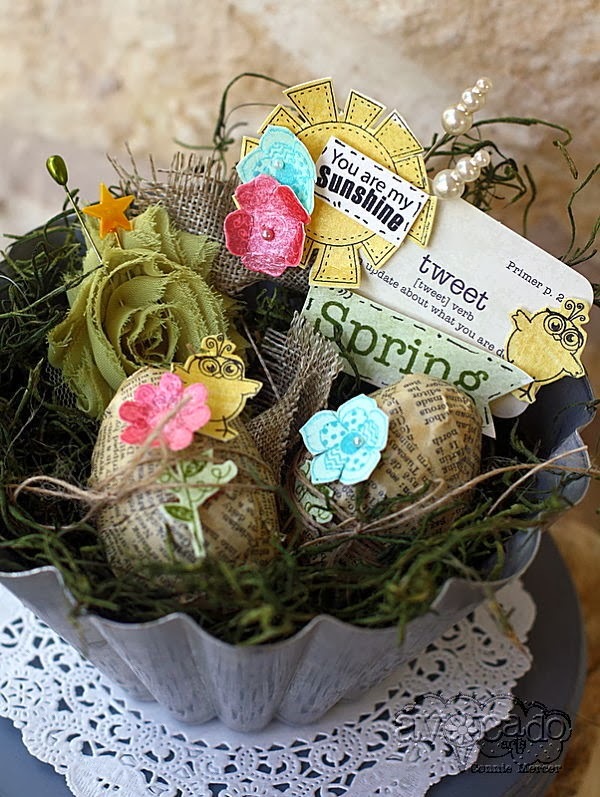 so totally fabulous.. love the eggs and really just a cute little basket of sweetness.. I'm ready for those birds nests! Awesome! Soooooooooooooo cute!! LOVING the chicks and those eggs!!!!! Way so cute. The stamps feed into my need for Spring! Our puzzle piece swap~Craft Crossing girls! Enamel ware re-purpose~ junkin' find! Darkroom Door ~ coffee stain!! Five will turn into six~soon!!!! Clear Scraps~Mason Jar chipboard album. The Curtsey Boutique~ for Duncan. Try It Tuesday~nature craft love! Steal of a Deal~they always are! !